Beyoncé Broke a YouTube Streaming Record on Saturday Queen B put on a performance for the ages at Coachella on Saturday night, shattering records in the process. 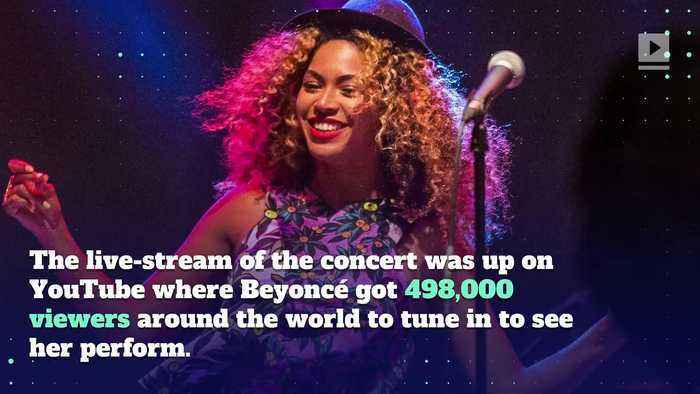 The live-stream of the concert was up on YouTube where Beyoncé got 498,000 viewers around the world to tune in to see her perform. A YouTube spokesperson told Refinery29 that it is the most viewed live music festival on YouTube and the most viewed Coachella performance ever. “Beychella” took over the social sphere as well garnering over 2 million mentions on Twitter over the past weekend. Unfortunately, Beyoncé's Coachella performance won't be streamed this weekend, so fans will have to go to see her in person this time.